One of the benefits of being obsessed with marmalade is that it leads me down many unlikely paths in a nicely random way. In particular, I often find that I'm buying, leafing through or reading books purely because they promise to mention marmalade at some point. So if you feel like assassinating someone today, that's what you should have for breakfast. Who would have thought that a man licensed to kill would be so particular? Next up was Agatha Christie's A Pocket Full of Rye, which, I read somewhere, uses marmalade as a murder weapon (sorry, spoiler alert). 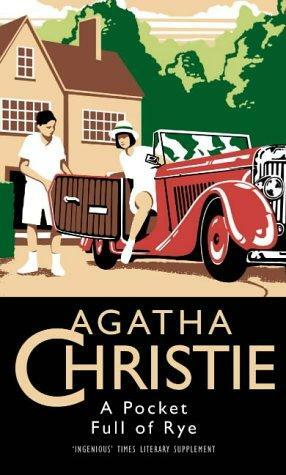 To find the reference, I've had to read the book, which has been a happy experience - I've never read any Christie before and it's fun. It's quite dry and witty and full of interesting characters, and I had no idea whodunnit until the right moment. I've just got to the bit where a jar of marmalade has been found in the shrubbery, so it's clearly the culprit. The spin-off from this was that I read somewhere else that Christie chose marmalade as the poison carrier because she didn't like marmalade, which struck me as odd. Apparently she wrote a list of things that she liked and disliked, the latter including marmalade, oysters and loud parties. So I've now had to buy her autobiography to find out if it was true. That arrived yesterday and it's quite thick, with very small print. But these are all things that I wouldn't have read otherwise, and I like reading unexpected things. Next on the list: Oxford by James Morris, a biography of Frank Cooper and a peculiar little book called This is the book that the author made, which has marmalade in its title. More soon.